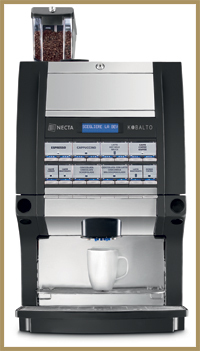 The Kobalto is a heavy duty bean to cup machine capable of delivering hundreds of coffees a day. It features two separate boilers, giving it a higher capacity than those systems that only have one. The machine uses a granulated milk to create the milk based coffees such as cappuccino and latte which makes it much easier to clean and maintain than systems that use fresh milk. The Kobalto also gives you the option of hot chocolate and mocha created from Suchard and Cadbury chocolate powder and a soluble coffee canister that can be used to deliver decaffeinated coffees, cappuccinos and lattes. Amongst a plethora of other useful features is the adjustable cup stand which allows the use of a variety of different sized cups, mugs and glasses. This system needs to be plumbed into the mains water supply which allows the fitting of a commercial water filter in order to improve the quality of the drink and reduce issues that can occur because of lime-scale build up. If the machine is to be used in a very high capacity setting then it is worth making sure that a high capacity water filter is fitted. The Kobalto features a rinse cycle that is activated with just the touch of a button and doesn�t require any specialist cleaning products, making it easy to look after on a day to day basis. Producing a drink is also straightforward requiring just the touch of a button. All of these drinks can be programmed to whatever size of cup or mug you wish to use, from 7ozs to 12ozs in size. The two boilers in the Kobalto mean that it can produce relatively large quantities of hot water for tea if required. 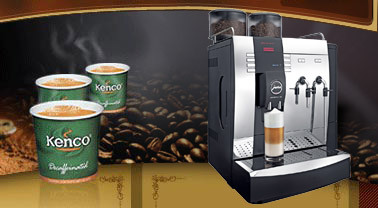 Optional extras include a payment system mounted on the side of the machine, two different cabinets and a cup warmer. The Kobalto is ideal in those situations where a large amount of bean to cup coffee is required on a daily basis. 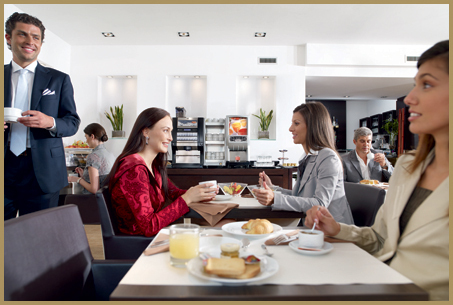 It�s easy to look after, creates a lovely espresso and has proven to be very popular in hospitals, hotels and busy offices. 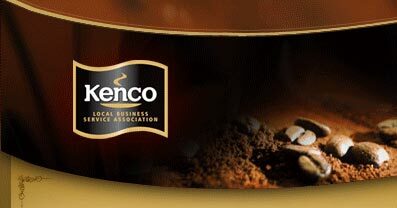 Kenco Local Business Service supply and maintain the Kobalto across London, Buckinghamshire, Berkshire and Hertfordshire including towns such as Slough, High Wycombe, Aylesbury, Watford and Hemel Hempstead.